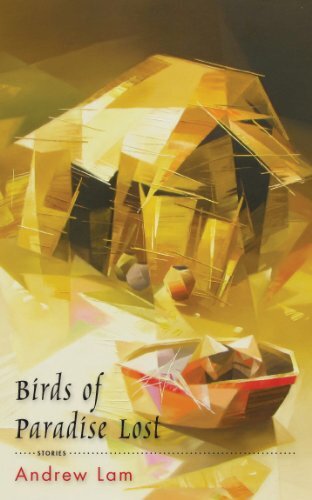 The thirteen stories in Birds of Paradise Lost shimmer with humor and pathos as they chronicle the anguish and joy and bravery of America’s newest Americans, the troubled lives of those who fled Vietnam and remade themselves in the San Francisco Bay Area. The past—memories of war and its aftermath, of murder, arrest, re-education camps and new economic zones, of escape and shipwreck and atrocity—is ever present in these wise and compassionate stories. It plays itself out in surprising ways in the lives of people who thought they had moved beyond the nightmares of war and exodus. It comes back on TV in the form of a confession from a cannibal; it enters the Vietnamese restaurant as a Vietnam Vet with a shameful secret; it articulates itself in the peculiar tics of a man with Tourette’s Syndrome who struggles to deal with a profound tragedy. Birds of Paradise Lost is an emotional tour de force, intricately rendering the false starts and revelations in the struggle for integration, and in so doing, the human heart. Andrew Lam, “Refugees Haven’t Changed. What has changed is the heart of the free world.” LA Times Op Ed., November 8 2015.